Vikram K Kumar | THE MAKE OR BREAK MOMENTS !!! 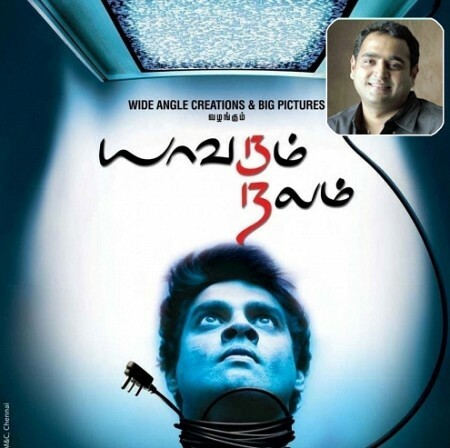 The director who made Alai with Simbu and Trisha bounced back with a bang six years later to give us the super cool horrifying thriller Yavarum Nalam. Post then, he has had two blockbuster hits in Tollywood which has also won him the price ticket of directing Suriya for his upcoming film 24. Maddy - Still very much in demand! This page hosts a weekly slideshow related to Tamil movies. Each slide includes a picture and some description about that picture. All the slides will have a recurring theme. People looking for actress stills, actress images, actor stills, actor images, movie stills, movie images, and other interesting topics, relevant issues in Tamil cinema will find this page useful. Vikram K Kumar | THE MAKE OR BREAK MOMENTS !! !.